1. Help Us Grow– If you know of a compassionate adult and a well-behaved, and well-mannered dog or cat who may be a good candidate for pet therapy service, please encourage them to submit an application on our website. If you don’t have a dog or cat and would still like to volunteer your time to support PAWS of CNY, click here to submit a human-only application. 2. Donations– We never charge for pet therapy services. Donations are never expected but always appreciated. Click below to make a secure donation via PayPal. PAWS of CNY, Inc. is a charitable, 501(c)(3) organization and all donations are tax-deductible to the extent allowable by law. 3. Tell Others Why You Love PAWS of CNY – Rate us on Facebook or on Great Non-Profits and tell others why you love PAWS of CNY. 4. College Student Internships – PAWS has internship positions available every semester (Summer too) non-paid for college credit. 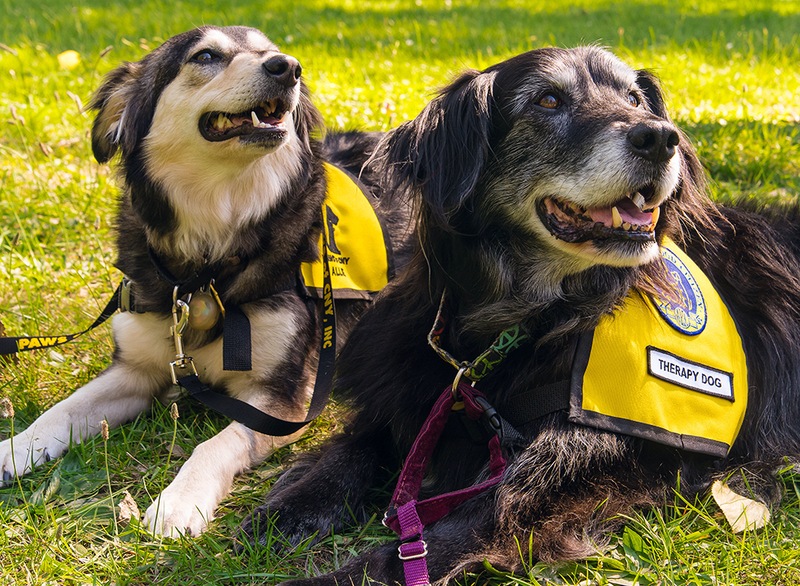 PAWS interns attend events, fundraise, help with promotion, attend meetings, and complete special projects for our organization all while gaining insight into the world of non-profit, pet therapy, and volunteer organizations. 5. Support the United Way– PAWS of CNY is a proud member of the United Way. Please consider supporting PAWS of CNY through your employer’s annual campaign. 6. Support PAWS of CNY When You Shop– Shop at smile.amazon.com and select PAWS of CNY as your designated charity.